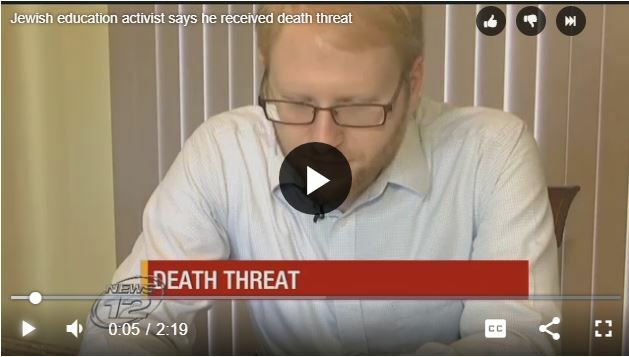 Home › Updates › Death Threat! 1. To Re-vote or not to Re-vote? 1) To Re-vote or not to Re-vote? That is the question that the school board will take up at their special meeting on Wednesday May 23 at 7:00 PM. To avoid $4 million in severe cuts to our children’s educational resources, Strong East Ramapo strongly urges a re-vote! Come to share your voice in favor of a re-vote at East Ramapo district headquarters, 105 S. Madison Ave, Spring Valley at 7:30 p.m. on Wednesday May 23. Thank you to everyone who voted in Tuesday’s election — and of course to our amazing candidates for putting themselves out there. In a district with incredibly difficult odds to win, Pastor Jose Cintron and Miriam Moster deserve our thanks. Thankfully, Sabrina Charles-Pierre ran unopposed and will be serving another term! The total turnout for the school budget vote for all districts in Rockland County was 9%. The turnout in East Ramapo was 10%. East Ramapo is the only school district whose budget failed. It is also the only district that has to contend with a significant “Bloc Vote”. This consists of about half of the registered voters in East Ramapo. On average, 6% of registered voters in Rockland supported the school budgets. 9% of East Ramapo voters (excluding the block vote) supported the budget. At one East Ramapo poll, YES votes outnumbered NO votes by 6.75 to 1. No other district in Rockland had this level of support. The Bloc Vote delivered an 1800 vote advantage for a NO vote at 5 polls. If the Bloc Vote was in any other district in Rockland, that district’s budget would also have been voted down. Regular readers of the Power of Ten know that it’s not only in East Ramapo’s public school system that education is under threat. Power of Ten supports all activists working to ensure every child’s human right to an education. Yaffed advocates for education in yeshivas in NY, including here in East Ramapo. Those who oppose education for children are often fanatical and sometimes violent. Please respond to this cowardly attack by visiting the Yaffed website, liking them on Facebook, signing their petition, and donating to their not-for-profit organization.